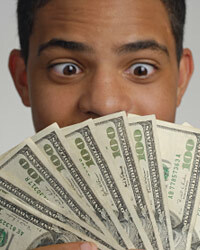 A military payday loan can provide you with a way to get access to quick cash when you need it. If you cannot afford to repay this type of loan, it is going to go into default. Here are some of the consequences of defaulting on a military payday loan. After you have failed to make your loan payments, the payday lender is going to start trying to collect the balance from you. You should start to receive calls from the payday lender demanding that you pay your balance. They might also hire a collection agency to help them with this process. If you still do not pay your balance on the loans, there is a good chance that the military payday lender is going to file a lawsuit against you. In this case, they are going to have to work with the local court system in order to take you to court. You will have to appear in court, and there is a good chance that the judge will issue a judgment against you. At that point, the court can order you to pay the debt or can potentially have your wages garnished to ensure that it is done.